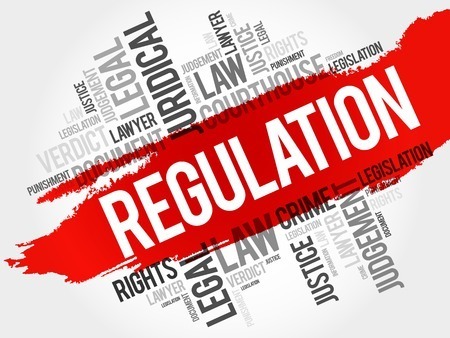 The Financial Industry Regulatory Authority (FINRA) is a not-for-profit organization authorized by Congress to protect America’s investors by making sure the broker-dealer industry operates fairly and honestly. In FINRA’s most recent annual exam priorities letter, the regulator highlights new priorities and touches on previous issues of concern in the securities industry. At the top of the list, FINRA warns that some member firms are selling and recommending securities when involved with online distribution platforms. FINRA states that there is evidence that firms are handling customer accounts and funds, or receiving transaction-based compensation via the online services. Financial Crimes Enforcement Network – a Treasury division that handles money-laundering issues, finalized a rule updating customer due diligence requirements for brokers, banks, mutual funds and other entities. Broker Dealers’ compliance with their markup or markdown disclosure obligations on fixed income transactions with customers. The latest letter also discusses cryptocurrencies and new regulatory tech tools that some firms are using to stay compliant. fraud, insider trading and manipulation across markets and products. FINRA will continue to make the protections of senior investors a top priority, assessing how firms are protecting elders from fraud, sales practice abuses and financial exploitation. This information is all publicly available and provided by The White Law Group. The firm has handled over 600 FINRA arbitration cases, including handling claims against most of the FINRA registered broker-dealers. These cases have included claims for, among other things, unsuitability, fraud, negligence, failure to supervise, and breach of fiduciary duty. For a free consultation with securities attorney please contact our offices at (888) 637-5510. For additional information about The White Law Group, please visit us on the web at www.whitesecuritieslaw.com. The White Law Group is a national securities fraud, securities arbitration, investor protection and securities regulatory/compliance law firm with offices in Chicago, Illinois and Vero Beach, Florida.